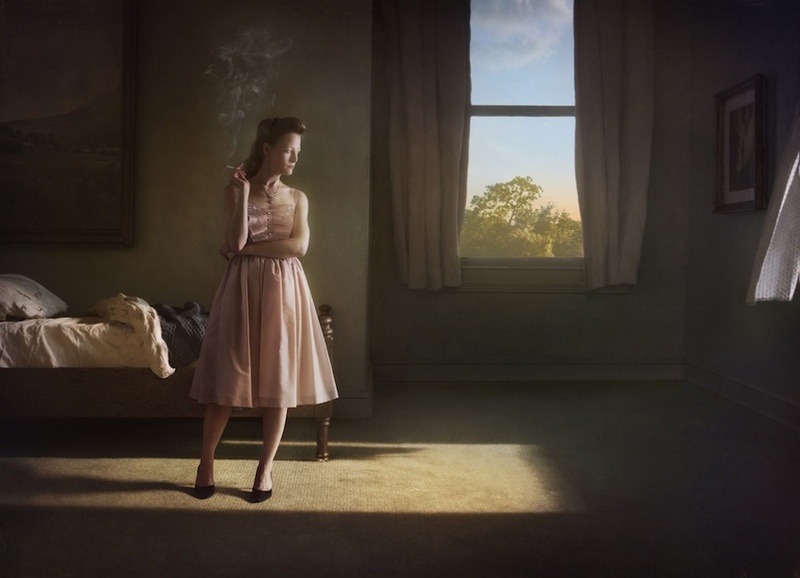 photo-eye Gallery Portfolio & Interview: Richard Tuschman's Hopper Meditations We are pleased to release a selection of images in conjunction with the inaugural exhibition at our new space in the Santa Fe Railyard: Richard Tuschman’s series Hopper Meditations. Richard Tushman will be present for the grand opening and reception this Friday, June 6th from 5-7 pm. We are pleased to release a selection of images in conjunction with the inaugural exhibition at our new space in the Santa Fe Railyard: Richard Tuschman’s series Hopper Meditations. Richard Tushman will be present for the grand opening and reception this Friday, June 6th from 5-7 pm. Anne Kelly: How were you first introduced to photography? 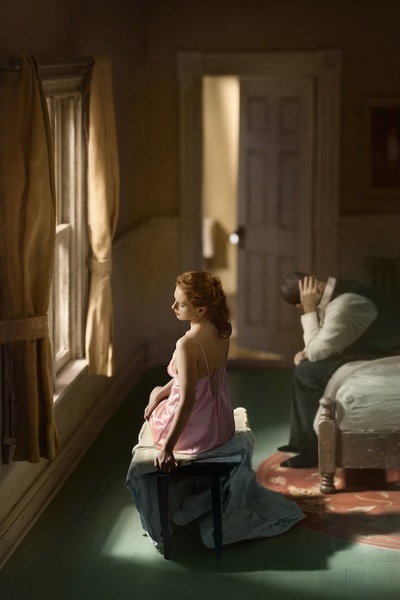 Richard Tuschman: I suppose my first exposure was as a child looking at my parents’ and grandparents’ family photo albums. I have always been drawn to photographic images (who isn’t? ), but I have never had traditional photographic training and I do not possess traditional darkroom skills. Until relatively recently, I would refer to myself as “an artist who uses photography” rather than a “photographer,” though now I am happy to use the label, “photographer.” When I went to art school at the University of Michigan back in the 1970s, I studied mostly printmaking, though I did a lot of photo etching and photo lithography. I only took one darkroom course, and I was not very good at it. But I always incorporated photography into my work, through photo printmaking or collage. It was not until Photoshop was introduced in the 1990s that I had a “darkroom” that I felt comfortable with. I had been using a Macintosh for several years at my graphic design job, so Photoshop came naturally to me, and seemed much more analogous to painting and printmaking than a traditional darkroom, and this was great for me. After that, my career in photo-illustration took off. AK: Please talk about your unique working process — and what inspired this process? RT: When I first moved to New York after art school around 1980, one of my first jobs was working in an architectural supply store. 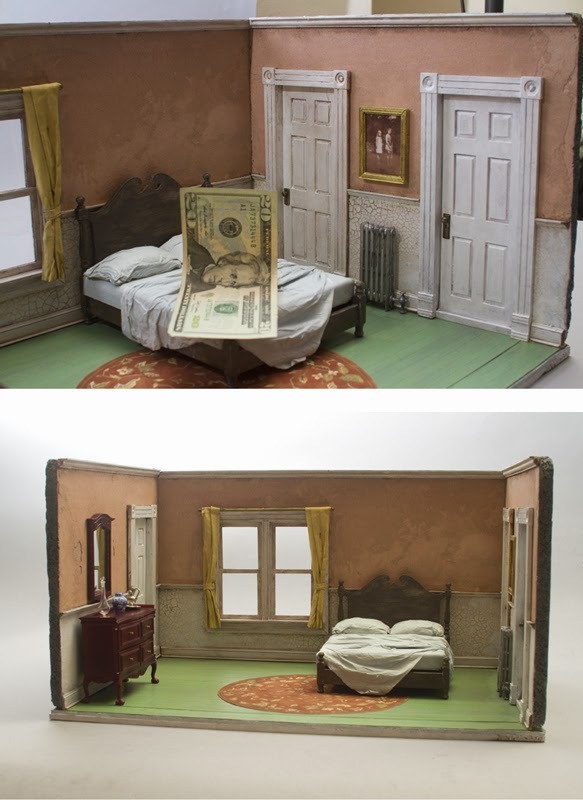 The model building materials there inspired me to make a series of miniature painted stage set like box constructions. In these first dioramas, the tone was surreal, and a human presence was often suggested by collage or painted shadows, or sometimes an actual painted clay figure. I worked this way for most of the 1980s. The introduction of Photoshop in 1990 launched my (ongoing) career as a digital photo-illustrator. One of the things that set my work apart was the inclusion of my hand built and painted assemblages along with other photographic elements. I began seriously photographing live models several years ago for my book cover assignments. I think the idea of combining live models with the dioramas first occurred to me for a commercial assignment for The New York Times about five years ago. It was the only way I could think to pull off the image they were asking me to create. I have been using this method ever since. AK: What about Edward Hoppers work inspired you? Who are your other inspirations? RT: Hopper was a master at using light to expressively illuminate his subject. I also like the fact that almost all of his human subjects are contemplative. There is, for the most part, no action. This sense of quietude contributes to the open-ended quality of the narratives, and leaves room for significant emotional depth. This seems a lot like real life, and what I would like to carry over in my work. I am influenced a lot by other painters as well, especially the interiors and lighting of Dutch masters Rembrandt and Vermeer. I also love the cracked, moody landscapes of the American Albert Pinkham Ryder and the poetic box constructions of Joseph Cornell. When it comes to photography, I draw a lot on vintage masters such as Julia Margaret Cameron, E.J. Bellocq, and F. Holland Day. In terms of contemporary photographers, I admire the dioramas of Lori Nix and Paolo Ventura, the figurative work of Hellen Van Meene, Richard Learoyd and Jayne Hinds Bidaut, and of course, the incredible staged images of Gregory Crewdson. AK: You play the role of the male figure in your images. Do you see the images as self-portraits on any level? RT: I do not see them as self-portraits on an explicit level, but I certainly identify with the pensive, somewhat melancholy moods of both Hopper's images and my own. I tend to be pretty introverted, so that seems in tune with what the pictures are about. Also, I work for cheap. Join us for the inaugural exhibition & grand opening of our new space located at: 541 South Guadalupe Street, Santa Fe, NM 87501, on Friday, June 6th from 5-7pm. Exhibition runs through July 19th, 2014.